CVD means Countervailing Duties. Countervailing Duty CVD is charged under import of specific goods listed by government of importing country as per their Foreign Trade Policy. 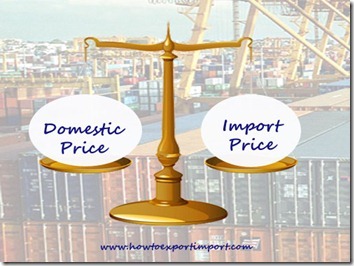 CVD (Countervailing Duty) is imposed to balance the price of the same product of domestic producers and the price of foreign producers based on the export subsidy they avail from their exporting country. If CVD is not imposed on such products, the said products seriously makes adverse impact in importing country thereby minimize the economic growth. So the main reason for charging CVD is to balance the market price of importing country to protect domestic manufacturers from the subsidies extended to the export subsidy to same product at exporting country. In other words, the countervailing duty CVD is charged in an importing country to counter the negative impact of import subsidies to safeguard domestic manufacturers. When imposing CVD to such products, the price of such imported products is being equally competitive. World Trade Organization (WTO) clearly specifies and explains their member countries, about the methods and process for imposing CVD and the circumstances to impose countervailing duty CVD by importing country. I hope, you got basic information about Countervailing Duty (CVD) on imports, the objectives of imposing CVD and impact of imposing CVD on domestic market. HItesh Maheshwari: On 16 February 2015 Sir i have started my new partnership firm with name Radha Krishna Exports. i have already opened my current trade account and obtained my IEC also. my website is under construction. shall be developed within 2 weeks. Sir i am unable to find a good export Agent/consultant who can guide me with my export product and in my document proccesing against his consultation charges. Bhupendra: On 20 February 2016 Dear sir , I am trader in zinc ingot. Now I want to im port. In that case I want know that is cvd is reversible for consumer or manufacturer as well as excise. If it goes same as excise. It will be much comfortable for me. Naren: On 16 June 2016 Sir do we need to pay CVD even if similar product is not available in India?